Posted on Sunday, January 8th, 2012 at 5:37 pm. 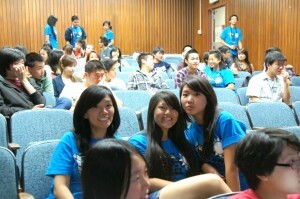 Have you ever wanted to start your own Taiwanese American Students Association (TASA/TASC/TAO – or anything of the like)? Being Taiwanese American is arguably a completely unique experience, and it’s natural to want to find others who share similar experiences – but what if your school doesn’t have a TASA? The Intercollegiate Taiwanese American Students Association (ITASA) has been able to reach thousands of Taiwanese Americans and has seen nearly a hundred schools represented at its many events held nationwide. Furthermore, ITASA is proud to support the efforts of individuals who have the passion to start a Taiwanese American club at their school. Having the initiative to start a cultural club can and should be a daunting task if done properly, but if you can establish a meaningful presence on campus, the sense of accomplishment will be great. Don’t take it from me though, take it from someone who’s done it just this past year! Michelle Ruan is one of ITASA’s West Coast District Chairs and gives us a little insight on how she started TAO at her school. I had never expected to start a TASA at UC Davis. In high school, I had been a TACL Journalism Internship Program intern and even attended an ITASA as a high school senior. I liked how unique the entire TASA experience was and had planned to join it if my selected university had one. Sadly, Davis didn’t. 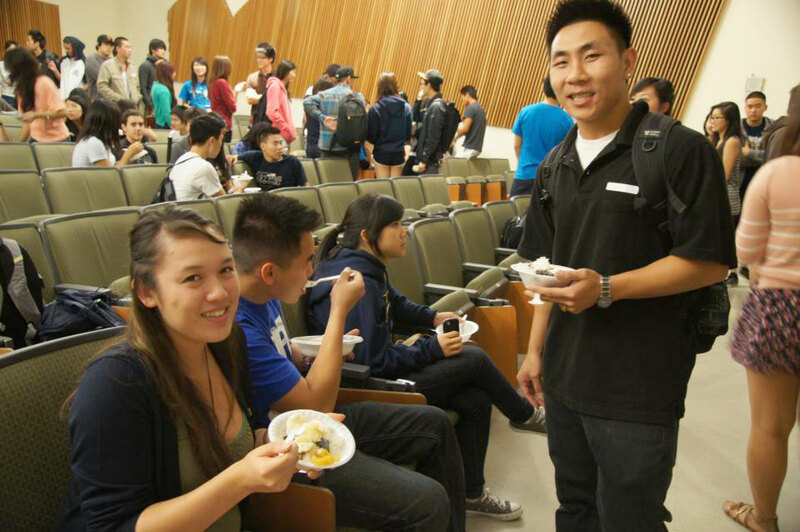 What it did have was a long established club called TCCS (Taiwanese Chinese Cultural Society) which catered more to the international Taiwanese students on campus. TCCS didn’t grab my interests since I was looking for a more Taiwanese-American vibe. 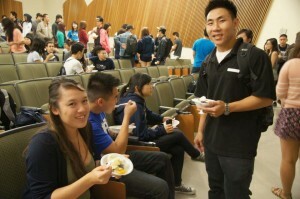 However, that didn’t dissuade me from joining other Asian American clubs on campus. From my time spent in the Asian American community, I discovered other Taiwanese Americans who were keen to have a TASA at Davis as well. However, nobody really knew where to start. I understood their confusion as I too only had a desire but not the means or experience to achieve it. Or at least I didn’t until I attended 2011’s West Coast ITASA which was hosted by UC Berkeley. I met the founder of UC Irvine’s TAO (Taiwanese American Organization), who was also attending UC Davis for law school. When I told Mendel that I was interested in trying to find a way to create a TASA at Davis, he gladly offered his help. We started pulling ideas of what we wanted the new club to be like and what we hoped that the club would be able to provide to the Taiwanese American community on campus. It was difficult to plan at times because the two of us had school as well as other extracurricular commitments. However, towards the last three months of school, things started to pick up. We selected a board, registered the club, and began to plan events for the upcoming school year. Before all that, however, we had set up meetings for people who were interested in participating as well as helping us set up the club. Surprisingly, we had a very good reception from the UC Davis students, which was great because it made us even more eager to start having real club meetings and events. The entire process of starting a club from an idea up was extremely exhausting. It had required a lot of planning, maneuvering, and mistakes were obviously made along the way. Through it all though, it taught me that if people have a brilliant idea and an unyielding desire to make it happen, it can. I’m sure there are lots of other students out there who wish to create a TASA at their own schools. I would definitely recommend that they go for it. It’s been an absolute worthwhile experience starting UC Davis TAO (TASA was the local Thai-American Student Association on campus). I have met people I probably would’ve never met if it hadn’t been for the club. In addition, we’ve created many memories which have bonded a lot of us together. There were difficulties, no doubt. Arguments over t-shirt designs, ways of fundraising-but they are inconsequential in the larger scheme of life. I hate to restate what college counselors say about clubs, but it’s true; starting and being in a student organization really can give you skills useful in daily life. You learn to balance everything skillfully and also learn to work well with others. Nevertheless, I have to say that the most beautiful thing that anyone can gain from creating a TASA or any student club, is the end result. Not only is there the chance to see culmination of everybody’s hard work but also to see the continuing ability of a club’s effects on the local student population. Michelle Ruan is a second year at University of California, Davis. 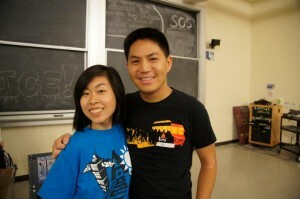 She is a West Coast District Chair and works with the other District Chairs to create a more united network of TASAs. With what little free time she has, Michelle also writes for the California Aggie and likes to catch up on her sleep. Eric Kao is a senior at Washington University in St. Louis. He serves as ITASA’s National Public Relations Director, but sometimes wonders how he got there as an Accounting Major. He also loves indie-ish movies like (500) Days of Summer, Up in the Air, and 50/50.